At Taxco we recognise that clients are our business partners and our reason for being in business and they are entitled to our best possible products and services, which make good business sense, regardless of variables or conditions. Here is a comprehensive list of our services and how we can assist you. Should you require any more information about our services do not hesitate to Contact Us. Many organisations, mainly companies, require an audit or an independent review of their accounts by law. Whilst it is an essential requirement for these businesses, an audit has been regarded historically as a ‘necessary evil’. Taxco's clients clearly see the audit in a more positive light. That’s because apart from a designated CA(SA) providing the assurance that clients and specified third parties seek from an audit, we always strive to add value to our clients. Where possible, we use benchmarking as an integral part of our approach, comparing your business to other organisations in your sector and of a similar size. We also look at trends in your business, typically over a five-year period and share all the key findings with you. Rigorous and pragmatic, we’ll give you the advice you need on systems and processes without leaving important matters up in the air. Having a large number of clients in specialist areas, we have extensive experience in the specific rules and regulations which govern their environments and fully understand the importance of these regulations to our clients. Taxco can provide you with expert support when you are preparing your year-end statutory accounts. We offer precisely the level of assistance you need – from simply helping you get ready for an audit to undertaking the complete preparation of your accounts. Our extensive experience in this area covers all kinds of organisations, including limited companies, partnerships, PBO's, NPO's, trusts, sole traders, joint ventures and other business entities. We can ensure that your organisation is using the most appropriate accounting software. If you are frustrated with your existing system, or wish to implement a new or enhanced system, Taxco can give you objective advice on the best choices. Often, we find that existing software is perfectly adequate with just a few setup improvements required. Taxco is a Accredited Training Centre for SAIPA and Softline Pastel. We deliver course from fundamental bookeeping, basic processing to intermediate an advanced Pastel Partner/Xpress courses all the way up to the 3 year professional accountant learnership. Whatever your vision, your accounting and control systems need to be tailored to suit it. We can help you design and improve your systems and arrangements to meet your needs, anticipating problems and finding solutions. We help ensure that your creative ideas make sense financially. There can be no doubt that the agricultural industry and trades linked to the food chain are facing challenging times. A host of external factors, such as the strength of the Rand, government reform of various Agricultural Policies and the influence of the large retailers create widespread uncertainty. Running a successful business in today's economic climate is no easy task, harder still to sustain success. Given this environment, the need for accurate and up to date financial information is paramount to enable the right decisions to be made. For this reason, our staff are trained on the various agricultural accounts packages and have an excellent understanding of the industry. Above all, we are continually aware that we are dealing with the life-force of the sector – its people. Their feelings, livelihoods and future planning for passing the business on to the next generation are all essential elements that so often sit beyond the balance sheet. Not at Taxco - farming is a personal business and demands the personal service we offer. Taxco is an reseller of ESET NOD32 anti virus software, ensuring proper virus protection. If you are not completely satisfied with your SARS tax assessment, one of our Tax professionals can review the Assessment for you, and advise you of the correctness thereof for complete peace of mind, and advise of what steps to take albeit a Notice of Objection or what you can do to avoid the same tax situation. When you are a decision maker, you need to be sure you are acting on reliable information. You need to be aware of your business risks and know that they are managed effectively. You need faith in your underlying systems and controls, and the certainty that you are compliant with key legal requirements. Moreover, you need to be able to instil your shareholders, investors and customers with the same confidence. A Taxco CA(SA) can give you the assurance you need. Taxco Accountants and Tax Consultants Trust FSP10754 is a registered financial service provider and we offer various banking and investment products. Via our association with Investec Private Bank and Nedbank Corporate Saver, we deliver excellent high yield call and longer term investments to our clients. Your capital and interest is 100% guaranteed by these entities and are pre-quoted by one of our professional investment advisors. Banking charges can largely be reduced by channeling your deposits and payments of your business through one of these investment type accounts, where you will not only receive a higher interest as you would have on your current or saving account, but you will pay far less for electronic payments to your suppliers. make your money work for you and Contact us to discuss the right banking or investment solution for you. As Professional Accountants, Taxco is perfectly positioned to be the provider of your EME certificate. At Taxco we designed a BEE Trust for Black people as defined to give the maximum protection of assets, while the trust qualifies for the maximum tender points you might otherwise have been entitled to. Contact one of our Trust professionals today to register your BEE Trust and get the additional advantage. The tax concessions provided by section 8B of the Act are to be welcomed as a contribution by Government to the spread of economic interests amongst the wider group of ordinary employees, rather than the select few upon whom those benefits are currently and frequently bestowed. Admittedly the tax concessions are not particularly significant. But they are structured in such a way that by the simple expedient of periodical increases in the figures referred to in the above section, considerable tax benefits to both employer and employee can be secured. This will encourage even greater participation by black persons in business enterprises on a basis which is tax efficient for all parties. Trusts, which are now a common feature of all BEE structures, will need to conform not only to the requirements of the BBBEECodes, but also to the provisions of the Income tax legislation to produce the most advantageous results for all parties. Simply place your outgoing post in your mail bag (Supplied by us), we collect it daily, weekly or as you require, we do the franking, register items where necessary and send small parcels as requested and post the items at the Post Office for you. Taxco has been in the postal, mailing house business for the past 15 years. Our Clients range from international corporates, public companies, auditing and accounting firms to the small business owner in Bloemfontein. We are well known for our efficient and effective service making our client’s business's work better. Above amounts do not include postage fees. pierre@taxcotrust.co.za or 051-4470825/7 [Office], to register for this service, obtain quotes or for further enquiries. Our trained accounting staff process and maintain all your financial information on a suitable computerised accounting package on a monthly basis or for any other required period to produce a complete general ledger, including fixed asset, debtors and creditors ledgers, as required, with a final trial balance indicating turnover, all expenses, profit or loss and all assets and liabilities up to the compilation of your annual financial statements. Batch listings, detailing each entry – (date, account allocation, description, vat, transaction amount), are used for billing purposes, so you only pay for your records actually processed and not for the time spent thereon. We provide a secure environment on our website for persons who wish to sell their businesses, with varying levels of anonimity to protect the Seller's interests. List your business under Business 4 Sale and we will screen the buyers for you. Only talk to people who are really serious about buying your business. List your business today! Taxco can review your business plan and help you to complete it, highlighting its areas of weakness and suggesting remedies. As a new business you’re bombarded with advice from all sides – often of mixed quality. Consequently, finding reliable advice is a real breath of fresh air. Most people who start up in business do so because they have the combination of a good business proposition and the enterprise and commitment to see it through. Not because they are experts in the legal and financial aspects of running a business. You’ll be aiming to harness your positive energy at this exciting start up phase. The last thing you want is to feel constrained by reams of daunting paperwork and cumbersome red tape. What you do need is the support infrastructure of a highly experienced team. That's where we fit in. Bring us your business ideas. We’ll act as a sounding board and help you evaluate them in a constructive and realistic manner. We think you’ll find our approach refreshing. Car allowances and company vehicles have become the single biggest remuneration tax structuring tool for employees. Do you know what the optimal car allowance amount is that you should include in your remuneration package. Based on the value of your car and the kilometres that you travel for business and private purpose, we can tell you exactly how much your allowance should be, how much you can claim and even advise you of the optimum kilometres you should travel to claim the maximum refund. Similiary with company vehicles. Keeping of records and especially a accurate logbook is imperative. Contact a Taxco Tax professional today to get the right tax advice. We have provided essential advice to numerous charities and Not-For-Profit organisations over many years. Whether you are a large, national organisation or a small local club, we have the integral knowledge base to help you with your regulatory responsibilities and the day-to-day management of your affairs. Legislation and compliance issues are the subject of rapid and continuous change, with public accountability becoming seen as critical. Our aim is to help with the burden of constantly changing rules and regulations and to keep you informed of your statutory responsibilities. The production of up to date management information is essential. We can produce this information for you or set up the compound elements, systems and controls to enable you to be self-sufficient. Business is about getting the chemistry right, formulating the optimum structure for operational success. We will help and advise you on the science behind company formations and limited liability entities. You’ll benefit from our specialist advice on management structures, banking and finance, shareholdings and those all-important shareholders' agreements – as well as accounting and control procedures. Working as an integral part of your operations, we can also give you advice on your obligations under the Companies Act. We will arrange the formation of new companies and will deal with the entire combination of VAT, PAYE and Corporation Tax issues at inception. Plus, assist with your registrations with other regulatory bodies where necessary. We’ll deal with routine company secretarial compliance matters and provide the company's Registered Office. In fact, we’ll handle everything under the sun – so you don’t have to. Pure simplicity. Company secretarial work is a highly legalistic area that becomes ever more complex and time-consuming as the company grows. Moreover, failure to comply fully can lead to companies being struck off and even to the prosecution of directors. Delegating this complex work to Taxco’s expert team lets you concentrate on your core business, secure in the knowledge that you are compliant. Depending on your specific needs, Taxco can take care of the whole job or just the more complex procedures. Our professionals combine practical experience with technical knowledge of all relevant areas of regulation. We keep up-to-date with developments through regular contact with the CIPC and our membership of professional bodies. As a team, we are familiar with a wide range of industry sectors and services, understanding the specific needs of each. Taxco considers its role as an experienced and trusted advisor on issues of critical importance to your business: new start-ups, finance, operations and profit planning. Taxco is not a law firm, and its employees are not acting as your attorney. Taxco does not practice law and does not give legal advice. This site is not intended to create an attorney-client relationship, and by using any of our documents, no attorney-client relationship will be created with Taxco. These are "SELF-HELP" legal forms that are provided on an "AS IS" basis with no warranties or guarantees, including all express, statutory and impied warranties of merchantability, firness for a particular purpose, title and non-infringement. Taxco DOES NOT WARRANT THAT THE CONTRACTS, FORMS, TEMPLATES, THE CONTENTS OR ANY INFORMATION RECEIVED THROUGH THIS SITE ARE ACCURATE, RELIABLE, CORRECT, OR APPLICABLE TO YOUR SITUATION OR JURISDICTION. If you need personal assistance in deciding whether a document obtained from our site is right for you or desire representations and warranties upon the legality of a document in the jurisdiction you will be using it, we suggest that you contact an attorney. This website and any of our products are not a substitute for the advice of an attorney. Every corporate finance deal brings a specific set of challenges requiring specialist knowledge and experience. Taxco member firms provide businesses with corporate finance advice and support across a range of issues, drawing on the resources, expertise and experience of our clients and associates. Choosing the right adviser to execute a corporate finance assignment efficiently, while protecting confidentiality, is the key to success. Clients need a full range of services - from company valuation to identifying and screening prospects. Knowing the pitfalls and potential problems, spotting and capitalising on strengths - while safeguarding against weaknesses - can make the difference between a successful and a poor deal. Taxco member firms have considerable experience of selling businesses. They know how sensitive a disposal can be. Added experience as fund managers and corporate advisers, helps greatly in knowing what investors want to see in a proposal. Specialists from within the Taxco network can identify investors and work with local or foreign advisers to conclude a transaction. They can also advise on the most suitable source of private equity and ensure support from foreign investors. Corporation tax compliance and advice is becoming increasingly complex in SA. With risk assessment for larger corporate taxpayers and constant changes to legislation, the need for a corporate tax adviser has never been greater. outsourced tax services for businesses without dedicated tax resource or where you would like a particular project delivered externally. Through our invoice services, we prepare highly professional, accurate and timely invoices for our clients' customers. These invoices are based on information provided by the client and all data is stored in a manner that allows our clients to access account balances, invoice history and other pertinent customer data. We convert any Pdf document to an searchable document or a editable Microsoft Word document. Amend, copy and paste the document contents or any section of a document as required into other documents. Search documents easily to find any information like, Id numbers, names etc. The benefits package you provide can make the difference between you and your closest competitors when it comes to attracting and retaining employees. If staff are a key part of your business this is not an area that you can afford to ignore. By fully integrating our tax, financial planning and HR specialists, Taxco provides advice across the full range of benefits from traditional ones such as pensions and protection, to more innovative flexible schemes and employee share schemes. You may be experiencing high staff turnover or as a growing company provision of benefits may be new to you. You may even have acquired a business or staff that has brought legacy benefits that need assessing and integrating with your existing package. Whatever your business's circumstances, we offer expert consultancy services and advice that identify your needs and seek to provide and support innovative cost-effective solutions that employees will value. We give independent advice that is based on sound tax, financial planning and HR expertise. We are not tied to any financial services providers or insurance companies and our service can be fee- or commission- based to suit your needs. Keeping up to date and ahead of new legislation and updating or developing company policy surrounding employment taxation, benefits and expenses is often difficult for Human Resources and finance departments. So is developing and updating company policy on employment taxation, benefits and expenses. Taxco's Employment taxes professionals can provide you with expert employment tax advice to suit your needs, however complex they may be. Our experienced but friendly specialists can help you meet your compliance requirements and deal with the ever-increasing burden of complex tax (e.g. PAYE) and UIF, SDL and WCA levies and legislation. We can support you by providing a wide range of tax-based services, advice and packages on employment tax related issues or if you ever have to negotiate with SARS. You can also save time and reduce the risks by letting Taxco’s payroll team manage the payroll for your business on a day to day basis leaving you free to develop your business. Few of us like to think about our very last breath, but equally few of us could live with the thought that we’ve not made adequate provision for the family and friends who are still living and breathing. The legislation that governs passing on your estate to your chosen beneficiaries requires you to plan well in advance. No-one knows when they are going to pass away - here’s how you can keep your estate planning agenda alive. The earlier you make the arrangements, the greater your chance of taking full advantage of the tax opportunities available - thereby maximising the amount that goes to your beneficiaries. Nothing is more demoralising than the thought that a substantial slice of the wealth you have worked hard to accumulate will end up in the Government's coffers! It is equally important when planning to transfer your estate that you make adequate provision for yourself and your spouse in your later years. Striking this balance calls for considerable skill and foresight - and a detailed knowledge of all the elements of the tax regime. Family businesses are renowned for their entrepreneurial and innovative spirit and are a key driver for SA enterprise. At Taxco, we help family businesses and business families to grow and develop through the generations and therefore realise their full potential. Our professionals have many years experience in advising family businesses operating across a diverse range of sectors. No two families are the same – nor is the commercial environment in which they operate. Our experience means that we appreciate the unique challenges and needs that family businesses have, whilst our impartiality helps to support organisations to solve any differences that may arise. Through a tailor-made service that is unique to your business we devise solutions that reconcile the separate requirements of the family and the business both in the short and long-term. Taxco can help you, your family and your business to achieve your objectives and overcome challenges as they arise by drawing on this wealth of experience. Since the formation of our financial services company in 1997 and operating under license FSP10754 , our reputation for offering professional, impartial financial advice to companies, individuals and partnerships has grown steadily. This is due in no small part to the impressive results which we consistently achieve for our clients. Our philosophy is to combine a professional approach with innovative financial planning advice. Our staff and associates are among the most experienced in the industry, committed to understanding your financial requirements and using our skills to assist in the planning, growth and development of your business. As we are independent, our clients enjoy financial advice that is free from bias. Unlike many other financial services companies, we are not 'tied' to promoting products from only one company. This leaves us free to provide both the best possible advice and the very best products. If you are based overseas and are building your operation in South Africa, Taxco’s range of services for foreign investors can help you overcome the many challenges involved. South Africa provides a rewarding environment for overseas investors. Taxco can help you reap the maximum benefit. Taxco is one of the leading firms of accountants and business advisers in the SA providing a full range of forensic accountancy, litigation support services, investigatory and expert witness services including business intelligence and forensic IT on a national basis. We offer a different approach, team structure and cost efficiency to our competitors while still delivering robust advice and expert evidence based on the breadth of our experience. Where we really differ is the level of client service. Our approach is focused and proportionate, quickly identifying the critical aspects and ensuring you can make informed decisions in a dynamic dispute resolution and investigatory environment. Our forensic and litigation professionals have considerable experience of acting in commercial disputes, fraud and financial investigations; professional negligence actions; asset tracing and money laundering investigations; competition and regulatory enquiries; cartel and corruption investigations. Whether the proceedings are issued in the High Court or in the Criminal Court, Taxco has the experience to advise. Whether a local dispute with a contractor or employee, or a multi-jurisdictional investigation, Taxco has the resources and experience to react quickly and cost effectively to assist in resolving the dispute. The needs of government and not-for-profit organisations often differ from those required from profit making organisations. This said, the not-for-profit sector still requires advisers with skills honed in the commercial world if they are going to perform well. Taxco's member firms have wide experience of advising and assisting government and not-for- profit agencies on various accounting, management and document solutions. Taxco offers a complete range of services to practices in the legal profession, relieving them of non-core and non fee earning activities. We act for a number of firms from sole practitioners to multi-partner firms. If you wish to outsource any of your accounting functions we have a dedicated payroll bureau, a VAT department, and a general tax department. Conformity makes everything easier – if you can still breathe. We make certain you can. Training is a continuous process and as a client we issue guidance to you on a regular basis. As professional practices we would be delighted to work with you on mutual clients in an integrated and transparent way - offering a combined package of legal and taxation advice. Our diverse sector experience means we can also offer you added-value commentary based on variance analysis. With Taxco, your management’s decisions will always be fully informed. acquisition agreement and working with your lawyers and other advisors until the deal is completed. Management reporting - In any business, key financial decisions by management must be based on hard data. This makes it vital to have effective management reporting. We can set up your chart of accounts to ensure that you receive the correct management reports when you need them. We can prepare management accounts quarterly or monthly as appropriate. We can prepare VAT returns based on these reports and assist with the preparation of financial projections. Based on these monthly records we can also prepare year-end accounts for you. Taxco produces a market-leading payroll software package that makes EMP submission faster, easier and more streamlined, and is designed to integrate with your existing accountancy and HR software. Managing the payroll for your business takes time, care and experience. Getting it wrong upsets employees and brings a risk of tax penalties. With Taxco's professional payroll team to do it for you, you save time, reduce the risks and gain more freedom to develop your business. We manage the payroll function for a wide range of clients across many business sectors and not-for-profit organisations from our national head office in Bloemfontein. We use tried and tested checking and validation methodologies to identify problems and deal with them and have the resources to analyse the impact of regulatory and legislative changes as they arise. Our procedures and processes ensure that our clients' payroll function is managed cost-effectively, remain up to date, and are both robust and compliant. Delegating some or all of your payroll responsibilities does not mean yielding control of your payroll function – you can choose exactly the level of support you need. You may choose stand alone services such as validating data, calculating tax payments, preparing high quality payslips and arranging payments on your behalf, or a full outsourced payroll function. We will agree formal service levels with you setting out exactly how and when the service is provided. However complex it may seem, we make payroll a breeze. Fast, efficient and cost effective, we work for businesses of all sizes: ranging from sole traders with only one or two employees, to large companies with many staff and a substantial payroll function. Our professional bureau service forms the nucleus of our clients’ payroll solutions. Even if you have someone in-house to manage your payroll function, we still offer a value-for-money formula, helping you review and improve your present systems. Your employee data will be treated with the utmost confidentiality. Both our practical procedures and our secure IT systems ensure it is protected. When was the last time SARS carried out an Employer Compliance review on your business? PAYE compliance covers all areas of employment tax; PAYE, Uif and SDL, benefits and expenses, unapproved share schemes, filing and reporting obligations etc. A PAYE risk assessment carried out by one our professionals can identify areas of risk and make recommendations to put things right. Where irregularities are discovered and a disclosure to SARS is required, we will work towards mitigating the potential liability. The full risk assessment will be similar to a review carried out by SARS. However, our emphasis will be to identify and reduce the risk areas, mitigate as much as possible any disclosures to SARS and ensure compliance measures are put in place for the future. Alternatively, we can review any specific area as directed by you. On conclusion of our review we can provide you with a full written report or verbal feedback in anticipation of any subsequent presentation of our findings. Personal tax needn’t be taxing. With the tax regime becoming more complex and more emphasis being put on taxpayers' individual responsibilities, everyone who is subject to taxation needs professional advice and support. At Taxco we hope you’ll find our approach refreshing - we optimise your tax position and ensure you meet all the compliance requirements. Every Rand of income tax you save means more income at your disposal, every well planned disposal of assets means minimal loss to capital gains, and every estate duty saving means more wealth for your beneficiaries. Let us take a fresh look at your personal tax issues and turn them into opportunities. Managing your finances efficiently involves more than simply completing your personal tax return on time. No matter how complex your personal tax situation may be, we will help you understand the issues and explain your options. We can advise you on the impact of your tax residence and domicile status and the many changes to the rules that are due to take place. South Africa's capital gains tax and entrepreneurs’ relief rules have changed frequently in recent years but we can guide you in the tax-efficient use of trusts and other vehicles and realising your assets at the lowest tax cost. We have the experience and expertise to help you make the most of your wealth. Keep and safeguard your company registration documents. or communicate the contents thereof to you. We will receive summonses on your behalf and forward them on to you, saving you any embarrassment. to disturb your staff and day to day operations at your normal place of business. We will protect your identity and only make your company information available to authorised parties. Having Taxco be your Registered office gives you a professionally run postal address, saves you time, and ensures you get that important message. There is life after work. It is said that life shouldn’t be measured by the number of breaths you take but by the number of times your breath is taken away. Live it to the full. Everyone hopes to maintain the same standard of living in retirement that they presently enjoy while working, but to achieve this requires considerable forward planning. Get it right and the sky’s the limit. Last things first. If you’re in business, the first thing you need to consider is your exit strategy. Will you withdraw from the business, leaving it for the next generation, or do you hope to sell it? 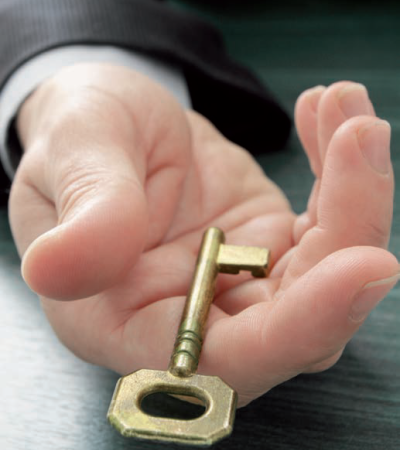 If you intend to hand the business over, do you have a workable succession plan? If you plan to sell, how will you value the business and find a suitable buyer? Are you aware of all the tax implications of the timing of disposals? A registered FASSET moderator or assessor at Taxco can assist you with your application as an SAIPA Accredited Training Centre (ATC). We will give you the necessary guidance, advice, examples and templates of what is required to prepare for and to ensure that your practice passes the Accreditation visit with flying colours. We have further assisted many learners with RPL (Recognition for Prior Learning) applications and monitoring visit issues. The SAIPA ATC Learnership Guide is a comprehensive document and will take the pactioner and learner uite some time to work through. Cut to the chase and Contact us today to save you time and take the guesswork out of the SAIPA learnership program. SARS is on record as stating that it wants to ensure everyone pays the maximum "right amount of tax" so it is getting tough with non-compliant taxpayers and rapidly increasing the powers of Tax Inspectors. No one can afford to be complacent. Our highly-trained professionals are experienced in dealing with all forms of tax investigation and have detailed knowledge of the respective rights and powers of the taxpayer and SARS. One of life's certainties is that if you are a VAT registered business, sooner or later you will receive a visit from SARS. VAT audit, or 'compliance' visits, as SARS prefers to call them, are an integral part of the system. Their main purpose is to ensure that your returns are an accurate reflection of your business activities and VAT liability. Every trader can expect a visit every few years as a matter of course. It begins with an interview, during which the Vat inspectors will seek a broad understanding of your accounting system and general commercial activities. He or she will be looking for possible areas of weakness in your accounting records. During the second part, the officers will examine your records to ensure that you have completed your returns correctly. Constraints of time will mean that he or she will probably focus on sensitive areas identified during the original interview. Do contact us if you would like further help or advice on this subject. We can guide you through the process and negotiate directly with SARS to ensure that tax, interest charges and penalties are minimised. Planning ahead is essential. With many businesses, the chances are that the day-to-day pressures mean that strategic planning is not given the attention it deserves. The result can be rushed judgements, over- or under-capacity, or missed opportunities. However, in a busy environment, how do you possibly make a window? A Taxco planning review makes it easy. Our planning advisers have the time and the space to take the long view and advise on appropriate courses of action before it is too late. It is vital to take an elevated view on your business strategy where the whole picture becomes clearer. With years of experience advising the local business community we have a wealth of experience and expertise for you to draw on. Businesses face the increasing pressure of ever more rules and regulations, with business tax complexities often consuming a large amount of management time and effort. We will help you incorporate tax efficiency into your business planning and decision-making to put you in control of tax costs and generate long term savings. When the tax issues seem complex you will find our business tax advice and solutions relevant, practical and cost-efficient. Trusts are purely and simply a very tax efficient way to set aside assets for future beneficiaries outside of the estate duty tax net. There’s a lot to take in. We can advise on the most suitable type of trust for your purposes, set up trusts, and provide a full range of accounting services for trusts. 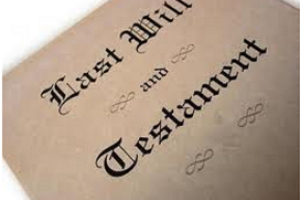 We can also advise you on the preparation of your will. Where appropriate, we can act as trustees or executors, breathing additional financial security into the lives of future generations. Business valuations are required for a variety of reasons and can range from simple illustrative valuations to more sophisticated valuations using complex financial modelling. 1. For what purpose is the valuation being prepared? 2. At what point is an entity being valued? 3. On what basis is the entity to be valued? Are you confident you would recognise the VAT implications or opportunities that arise from a change in your business activities? With our help you can. VAT rules permeate every part of most businesses: our professionals will help you analyse your business to identify risks and tax-saving opportunities to reduce costs and improve your cash flow. From advice on VAT registration to tax planning, the highly complex rules covering subjects such as international services, land and property, business acquisitions and disposals, our VAT team provides practical, cost-effective solutions. Value added tax is one of the most complex and stifling tax regimes imposed on business - so complex that many businesses inadvertently overpay or underpay VAT. The ever widening scope of VAT, the constant stream of detailed changes to the regulations, and the ever growing demands of Customs and Excise call for a trained professional eye to ensure that you do not fall foul of the regulations and do not pay SARS more than you need to. The solution is elemental. There’s a far easier way to relieve VAT fatigue through a supply of perfectly balanced advice from Taxco. representing you during VAT investigations. Wealth Planning merges the disciplines of retirement planning (accumulation) and estate planning (distribution). Like becoming physical fit, your financial progress will be much faster and efficient with on-going personal coaching. At Taxco, you will be given the opportunity to meet with a professional to keep you on track to a healthy financial future. We provide a Financial Wealth Analysis during your consultation in which you and your personal wealth planner will be talking the same language. We can tell you about the cost effective financial services that give you the most benefit. When it comes to building an Investment Portfolio, or cutting the cost of your assurance, contact us, we've got the answers to help.